By this point, it’s become quite clear that director Denis Villeneuve is a man who enjoys challenging his audience. With the constantly twisting plot lines of Prisoners to the subconscious probing head trip that is Enemy, he makes a concerted effort to keep viewers engaged on an intellectual level and more importantly, he isn’t afraid to make bold narrative choices that run the risk of potentially alienating and dividing viewers. 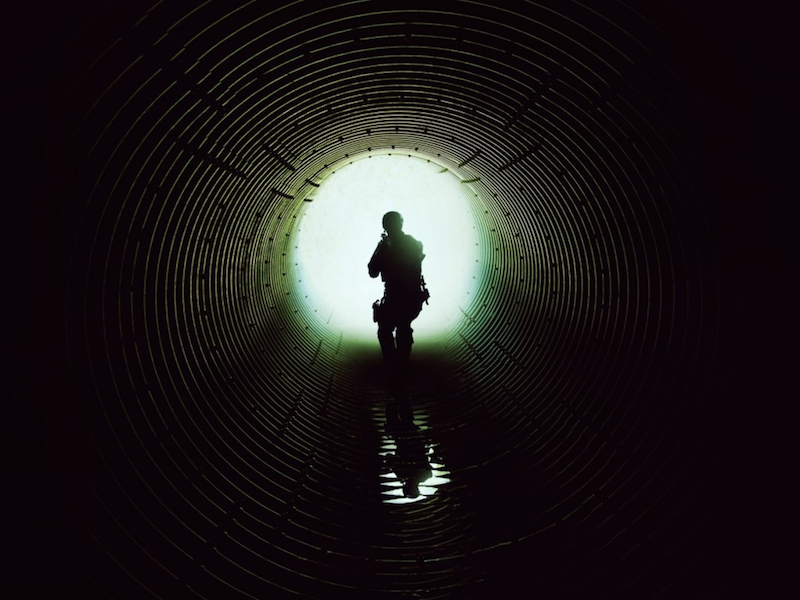 He’s done it again with Sicario, a film that can be easily summarized as a day in the life of new DEA agent in cartel-controlled Mexico but slowly reveals itself to be a thoughtful meditation on moral compromise and human frailty. After raiding an Arizona drug home filled with dozens of corpses linked to cartel violence, FBI agent Kate Macer (a superb Emily Blunt) rises quickly through the ranks and catches the attention of cocky DOD advisor Matt Graver (Josh Brolin). He recruits her to find the men responsible for the killings, which leads them to the threatening streets of Juarez, Mexico. With the help of Graver’s partner Alejandro Gillick (Benicio Del Toro), they must navigate the dangers of an area torn apart by drug trafficking and rampant violence. And while there are bursts of graphic violence, most notably in a terrifically tense border crossing scene, this film is much more interested in the suggestion of violence rather than displaying the grisly details on screen. During an interrogation scene, the camera lingers on a lone floor drain while faint sounds of anguish can be heard. We can surmise that a man is being tortured but his pain isn’t made visually explicit. An even more prevalent example throughout the film is the gunshots humming in the distance, which serve as an uneasy soundtrack to the hellish cityscape. We’re informed in the opening frame that “sicario” is Spanish for hitman, which doesn’t seem to be a fitting descriptor for the first half of this film as we follow Macer’s point of view but during a pivotal scene at her apartment, the entire focus of the film seems to shift to Gillick’s perspective. His personal mission and vendetta then start to kick in and seem to supplant the tumultuous moral dilemmas that plague Macer through most of the story. We’re trained, in a way, to root for her to triumph over the moral deficiency of her male superiors but Villeneuve doesn’t give us the satisfaction of an easy conclusion here. First-time screenwriter Taylor Sheridan deserves ample credit as well, forgoing “message movie” cliches about the war on drugs to write a script that does justice to its characters and the world that they inhabit. Cinematopher Roger Deakins, a true master still waiting patiently for his first Oscar (he’s been nominated 12 times previously), continues his great run of work here with bold choices of camera placement and movement that make even routine scenes exhilarating. Everyone is firing creatively on all cylinders to create this subversive and enduring work.